We are proud of the health care systems in the Stark County community and we think your team will agree! Whether you’re down with a temporary injury or on the injured reserve list, we have the care you need close to home. What a home field advantage! Serving Stark and surrounding counties since 1892, Aultman is committed to its patients, employees and the community. 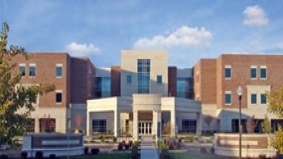 Aultman, located in Canton, offers high-quality health care services ranging from cutting-edge cancer care to advanced surgical techniques. Continuously reinvesting in facilities and technology to provide the latest treatment options for patients, Aultman provides educational and career opportunities through area schools, and offers health and wellness education for our community. With 808 licensed beds, 575 active physicians in more than 40 different medical specialties, and a staff of more than 5,000 employees, Aultman is Stark County’s largest hospital and largest employer. 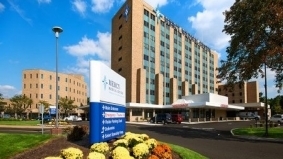 Mercy Medical Center, a ministry of the Sisters of Charity Health System, operates a 476-bed hospital serving Stark, Carroll, Wayne, Holmes and Tuscarawas Counties and parts of Southeastern Ohio. It has 620 members on its Medical Staff and employs 2,500 people. Located in Canton, Mercy operates outpatient health centers in Carrollton, Jackson Township, Lake Township, Louisville, North Canton, Plain Township and Tuscarawas County. A Catholic hospital, Mercy Medical Center upholds the mission and philosophy of the Sisters of Charity of St. Augustine and continues to be responsive to the needs of the community. 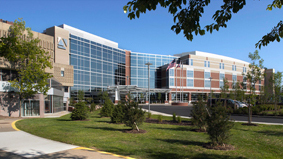 Aultman Alliance Community Hospital is a not-for-profit hospital serving Alliance and its surrounding communities. A subsidiary of the Aultman Health Foundation, Aultman Alliance Community Hospital provides a full range of inpatient and outpatient services and is proud to be a Planetree affiliated facility. Aultman Alliance Community Hospital is one of the city’s largest employers with over 1,000 colleagues.